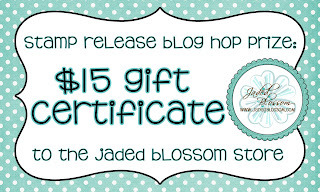 Wow, I hope you all had fun joining our HOP! Did you all like our April Stamp Releases? Thank you so much for Everyone that purchased our April 2013 Stamp Release, we can't wait to see what you create with them. If you need some inspirations, just check out the DT Creations. All there creations has been directly linked to their blog, you won't have to look for it. Now on to our Winners. 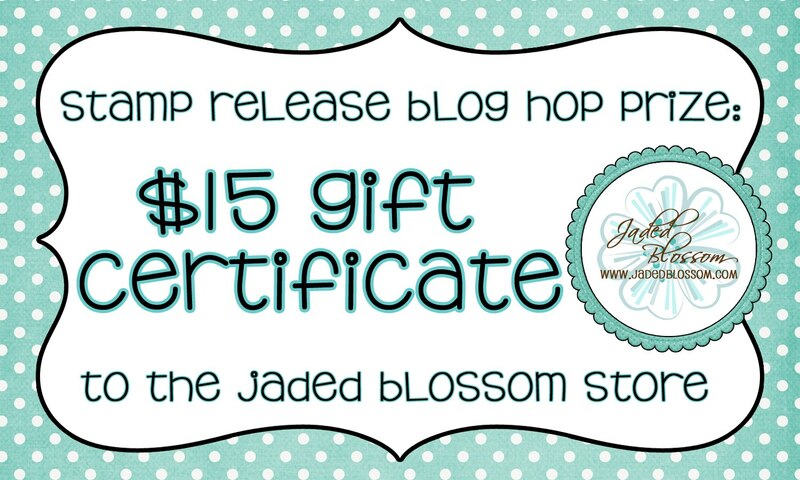 Please contact us at admin@jadedblossom.com to claim your prize. Just join our "April Showers Bring May Flowers" Challenge, you have until Saturday, April 20th to link up your creation. 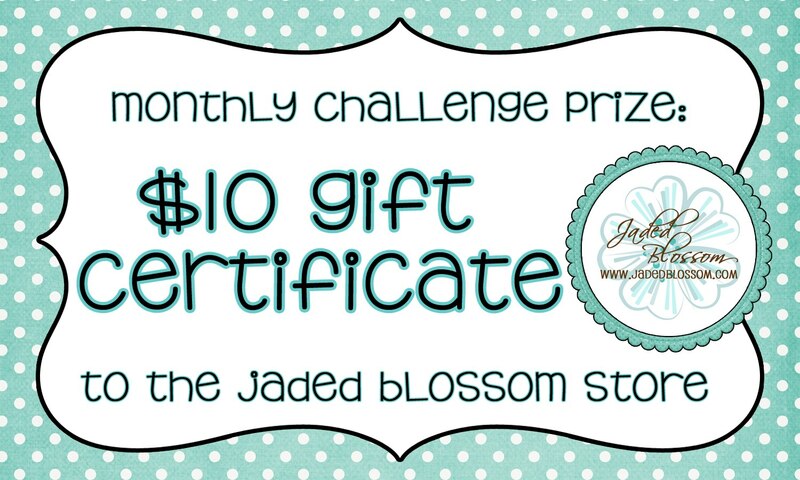 Challenge winner will be announced on Sunday, April 21st. Congrats to all the winners!!Awesome! !Thank you as well!Yiippee!! So super excited!! Congrats to all the other winners as well!! Congrats to all the winners! I loved seeing all the great projects on the hop. Congrats to all the winners! Wahoo! Omg!!!!!! Is it too late to claim my prize!!!!!! !